Cosplay was to be done in double, with my girlfriend of Youji, but unfortunately after the breakup, I was sad and lonely with a cosplay. I decided to turn that loneliness and sadness, and remove it from the closet at the first opportunity I had, even alone. 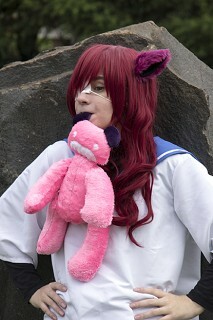 And became one of the cosplays that I like both the affection to make the plushie, as the clothes and his personality. Note: my ex girlfriend bought this shirt that is his mark. And remember it so much, I did not want to use it. 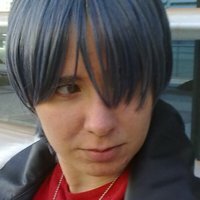 Now, was one of the nicest memories I have, even if the cosplay has not been held in tandem with it.